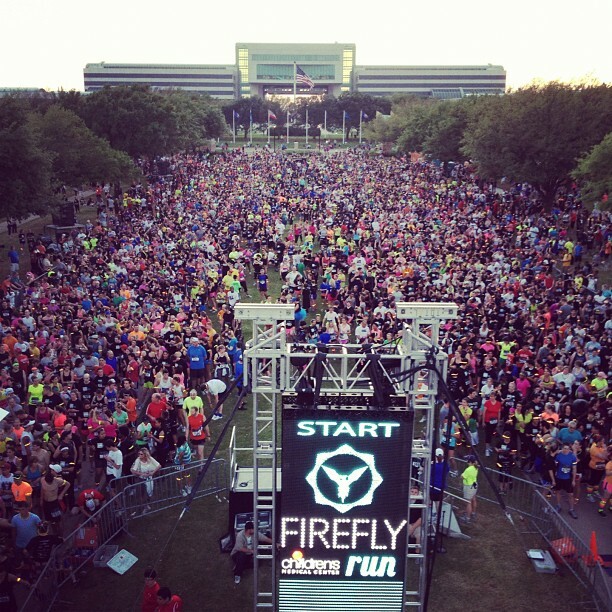 Firefly Run is the coolest, most eye dazzling, and illuminating 5K night race. Runners and walkers of all speeds and experience are welcomed. Decorate yourself like a Christmas tree or dress up in mesmerizing costumes and let your creativity flow. Enjoy the post-race after party with live entertainment, refreshments, and amazing visual effects! Come out and support us for a great cause that benefits local charities. Relax and enjoy the spectacular sight of an one-of-a-kind night-time race. It’s time to get your glow on and light up the night like fireflies! Dress your very best to compete and win an awesome prize in our Costume Contest! Enjoy the music as you drown in mesmerizing lights. Lasers, lighted trees, glowing arches, and other lighting decorations will celebrate with you to dance the night away.